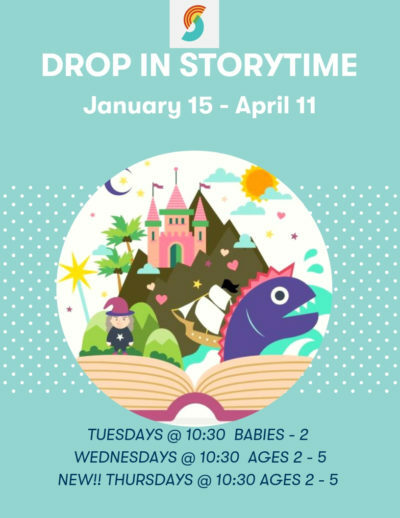 Drop In Story Time for Ages 2–5. 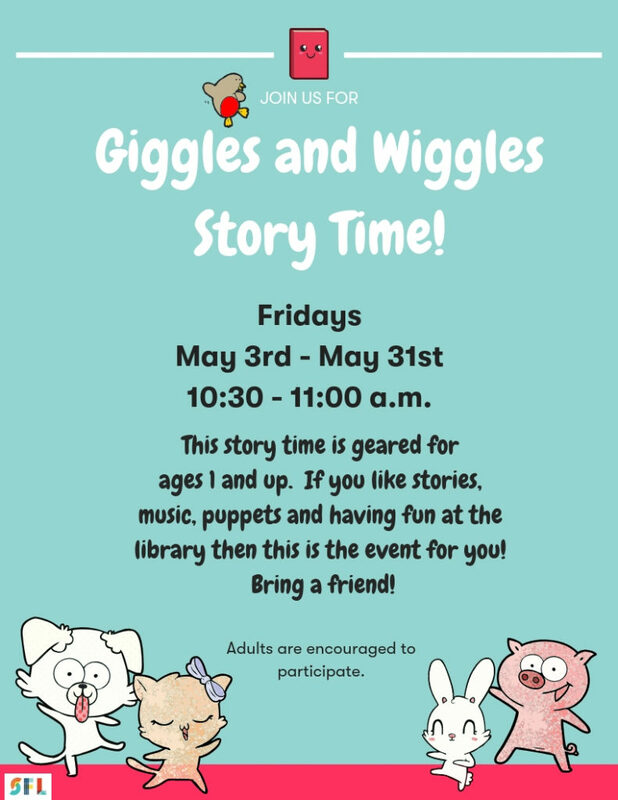 We reinforce early literacy skills through books, songs and finger plays. There is also a craft based on the weekly theme.